Amendment 2 will appear as a ballot initiative this November and must garner 60% support to pass. Bush joined a coalition against the measure along with the Florida Chamber of Commerce, the Associated Builders and Contractors of Florida, and the Florida Trucking Association. 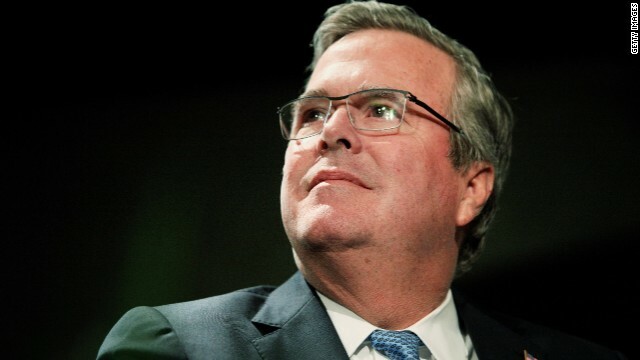 Bush is considering a presidential bid for 2016, and his opposition to the measure could be an in issue in his political future given the widespread support for medical marijuana, both in Florida and on a national scale. According to a recent Quinnipiac University poll, 88% of Florida voters back legalized medical marijuana, including 80% of Republicans. And more than half of voters favor the idea of allowing adults to have small amounts of pot for recreational use. Medical marijuana also has strong backing nationwide. A CNN/ORC International Poll in January showed that nearly nine in 10 adults favored legalizing pot for medicinal reasons. As for recreational marijuana, a CBS News Poll in May indicated that 48% of adults think it should be legal, while 47% think it should be illegal. Despite Amendment 2's broad support among Florida voters, many of the state's GOP elected officials are speaking out against the measure, including Gov. Rick Scott, Sen. Marco Rubio (another potential presidential contender) and much of the legislature's Republican leadership. Republican mega donor Sheldon Adelson, who's heavily involved in presidential elections, has spent $2.5 million against the initiative, the Tampa Bay Times reported in June. Political observers note that a medical marijuana ballot initiative could help increase Democratic turnout during a midterm election year. Ben Pollara, campaign manager for United for Care, the group that pushed to get the measure on the ballot, said in a statement it’s “surprising” that Bush would “take a position so out of step with the voters who twice elected him to the highest office in the state." Scott already signed a bill into law this year that allows a limited strain of marijuana for medicinal use and has support among Florida Republicans. The substance is low in THC (the psychoactive ingredient in marijuana) and aims to help some cancer patients, as well as those suffering from epilepsy, muscle spasms and seizures. He also signed a bill that protects the patients' identities. Bush is campaigning with Scott Friday morning at an event in South Florida. How much damage can one family do to America? Prescott was Hitler's banker, George the First destabilized Iraq, and Shrub turned it into a shooting gallery for his business partner's son's gang to take target practice on US Troops. Maybe if they all smoked some pot, they wouldn't be so unpatriotic and destructive. Can anyone name that state? Yeah, just about anyone can name the state. Quite honestly, though, I don't want my tax dollars for paying for someone's booze or drug habit. And I really don't think you want yours to either. So what do you suggest, O wise Counselor? Uh. We should fire John Boehner for drinking? @Sniffit-Blah Blah Blah racism this and racism that. Your starting to sound like a broken record. Anything said on here that is not pro-liberal you pervert into some sort of racism. 90% of the time it has nothing to do with racism. I'm told that 90% of the time racists don't realize that they're acting like racists. Sort of like bad drivers who cut you off. Let them old folks get stoned, maybe they'll be able to punch a ballot. This is why all Bush's are imbeciles. Alcohol is medically proven worse for you then weed. Secondly, show me one report where a person OD'd on weed? Wouldn't it make more sense to allow people to grow a plant in their yard or house, that is hurting no one, then to keep it illegal, make them go into the hood and risk their lives getting something, they should already have access too. Florida isn't all it's cracked up too be. The new state motto is " The Silver Hair Lair"
I hate to break it to you but keeping it illegal and locking sick people up in cages with rapists and murderers doesn't magically stop people from driving high through school zones. Lets not forget that somebody using it daily for medical use isn't impaired in the same way somebody who take their daily dose of oxycodone or xanax as directed by their doctor isn't impaired. They would actually be more impaired without it. Do you really want somebody behind the wheel who is crippling pain so bad they can barely grip the steering wheel or who is falling asleep because they have been up for days at a time due to chronic insomnia? Traffic fatalities have actually gone done in Colorado. Florida went to pot a long long time ago and it never left. The only thing this bill will change is the people who really need it will be able to get it from tax paying business owners rather than drug dealers, and they wont have to worry about having their lives, futures, and families destroyed just for wanting to feel normal in the name of profit. The reason is simple... he's been bought by the pharmaceutical companies!